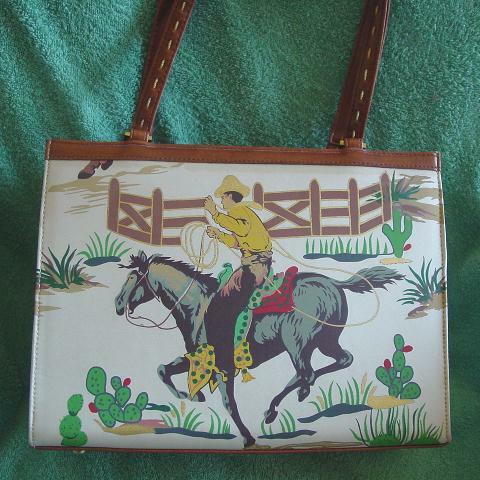 This not quite vintage never-used dark caramel faux leather and light beige synthetic fabric covered purse has a cowboy on a horse trying to lasso something, fencing, grass, and cactus. 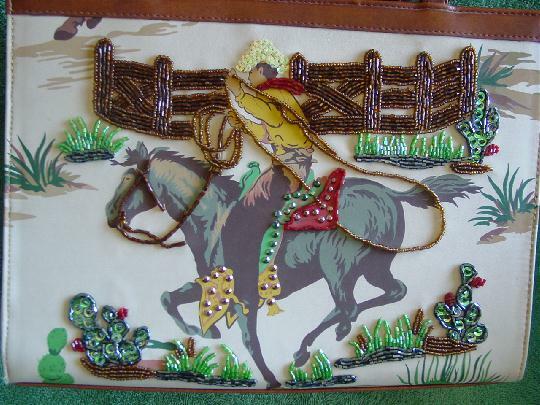 The front has beadwork accents in iridescent brown, charcoal, green, and amber. There are rounded small studs in green and copper. It also has iridescent yellow and green sequins. There is a bone-beige background with a design pattern in greens, brown, cement, yellow, red, azalea, blue, gray, and gold. 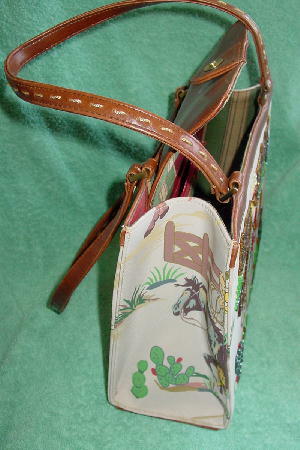 It has a striped fabric lining in red, green, yellow, and blue, and a zippered pocket. There is a faux leather lid inner magnetic snap closure. 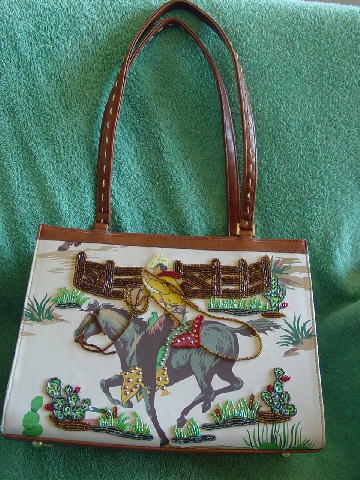 There are two 23" by 1/2" handles with a running string stitching on the outer side of each one.